Don’t forget to take your makeup off! That habit of yours of not taking your makeup off can lead to numerous skin problems, such as dryness and dehydration, brittle lashes, and other more serious skin disorders. You can also experience such things when you try the “remove your makeup instantly” approach. So, if you care at least a little bit about your health and skin, washing your face properly should be on your to-do list every single day. You see, by washing your face thoroughly you’re not only getting rid of your makeup, but you’re also getting rid of everything that has accumulated on your skin throughout the day. If you decide to ignore this, you might as well say hello to premature aging. If, on the other hand, you’re curious to see what you can do to prevent this from happening, then by all means keep on readin’! Use products that suit your skin type. 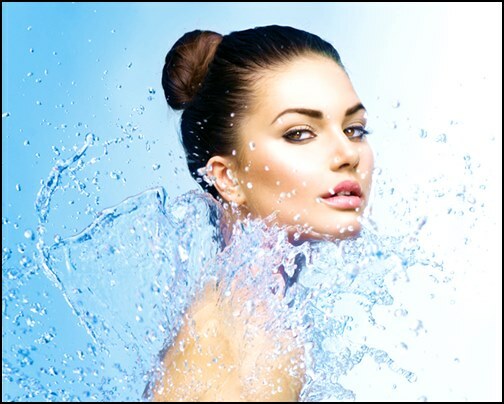 For combination skin, cleanse your face with a soft cleansing milk followed by lukewarm water. As for dry skin, you’re gonna need more patience here. Try a more thick cleansing milk. If you have oily skin, go for cleansing gels or lotions that will restore your skin’s natural balance. But if you’re not sure which skin type you have, the best thing would be to use micellar water because it gets rid of your makeup but at the same time doesn’t hurt your skin. As for the areas around your eyes, use cotton pads with cleansing milk, and slowly and gently remove your mascara. Make sure you don’t rub too hard because you’ll end up irritating your skin. By using the right makeup removal techniques, you won’t have to go through certain things some women do, and your skin will look beautiful and healthy. Bear in mind, this is just the first step. There’s still toning to do which should definitely be a part of your beauty routine as well. In the end, your skin will have that special glow, and you’ll feel more confident to go about your daily life. Make your own Jaffa cakes for body treatment! !